PR pros often find themselves thrust into the spotlight as company spokesperson. For the pro who is accustomed to more behind the scenes work, this new role can be challenging and rife with booby traps. 1.) Be Available – When you are the company spokesperson, you are the face, voice and contact person for the company all rolled into one. Make your email and cell phone number available to the media and answer their calls in a timely fashion. You don’t want to be the spokesperson who was “unavailable for comment” when that negative story about your company runs in the local Sunday paper. 2.) Be Personable – Reporters and the public do not want to deal with a walking, talking manifestation of the company you represent. They want to deal with a living, breathing person. Don’t be afraid to show some personality when talking to reporters or customers, or even when appearing on television and the radio. People distrust a corporate shill, but can sense when people – even company spokespeople – are being warm and genuine. 3.) Be Quotable – Reporters loved interviewing CNN founder Ted Turner, because as often as not, he was likely to put his foot in his mouth or say something otherwise memorable. Don’t let a reporter hang up the phone with you only to realize that she has absolutely no decent quotes to print in her story. This doesn’t mean that the only good spokespeople are those born with the gift of gab. When you know reporters will be calling, have some quotable quotes prepared in advance. 4.) Be Certain – As a spokesperson, the press and the public treats you as the authority on your company. If you hesitate or can’t answer a question, your credibility drops in their eyes. Know your company inside and out, keep on top of industry trends, and anticipate questions before they are asked. And when you answer questions, answer with authority. 5.) Be Flexible – Though you should “be certain,” some questions will naturally catch you off guard. If you don’t know the answer to a question, be prepared to research answers and provide them later. If you receive a question that’s hostile or out of left field, have an answer prepared to deflect such a question until you can come up with a response at a later time. Never say anything that is untrue or that you cannot be 100% sure about. These are the types of statements that can cause a company public relations, or even legal, nightmares. Spokespeople are a special breed – a cross between PR pros, company experts, and silver tongued soothsayers. 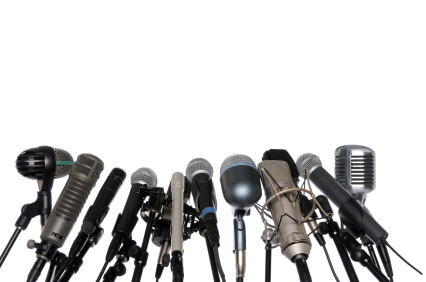 Follow these five tips to ensure your success as a spokesperson. Nice . i just starting my carrier as a spoke person of my company. may b it will helpful for me .